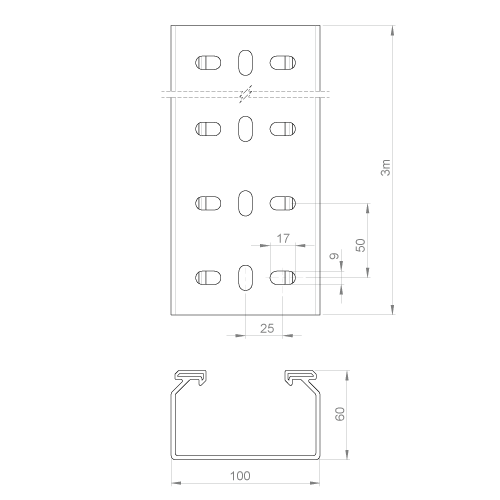 Insulating cable tray according to IEC 61537: 2006 (The values indicated according to IEC 61537: 2006 have been tested under its European implementation EN 61537:2007. For support, protection and conduction of cables. Good performance outdoor, to corrosion and to chemical agents (ISO/TR 10358, DIN8061). Designed to support full load. 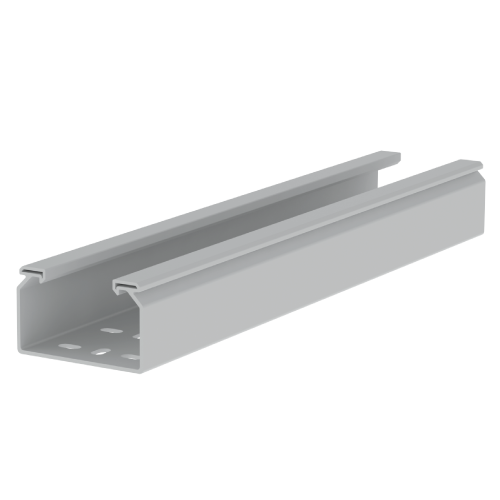 Unex insulating cable tray with cover, by complying with the European Standard EN 50085-2-1, is considered a protecting enclosure (trunking). Impact test for trunkings: IK10 (with cover fixing). Safety: electrical; mechanical (protection against impacts 10J acc. IEC 61537; designed to work at 100% cable capacity) and in front of fire (glow-wire test at 960°C; non-flame propagator). Easy and quick mounting. No burrs at cutting. Insulating material. Length: 3m. Colour: grey RAL7035.